The Department of Licensing clock starts ticking immediately upon your arrest for DUI in Washington State. Get a case evaluation to help save yours. If you either refused to submit to the official DUI breath test (BAC) at the station, or if you submitted and have a breath test of 0.08% or higher, the State–through the DUI Implied Consent Law–will attempt to suspend or revoke your license in this State. 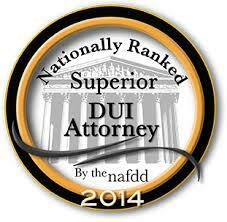 In almost every case, this attempt happens before your trial or you are even charged with a DUI/Physical Control. These consequences from your DUI arrest happen automatically within 30 days from the date of your arrest, unless you file an appeal with the Washington State Department of Licensing within 7 calendar days of your arrest. Filing an appeal allows for a postponement and will stop a potential drivers license suspension pending a DOL hearing to contest the suspension. If you fail to request a hearing within 7 calendar days of your DUI arrest and pay the $375.00 fee you lose all right of appeal forever. This is why it is important to talk to an experienced Washington State DUI attorney as soon as possible so that you understand your legal options and Washington State DUI Laws. Get a free case evaluation online. Remember, penalties concerning your drivers license is a Washington State Civil/Administrative matter and a drivers license suspension or revocation will go into effect, regardless of whether or not the DUI criminal charges against you are filed or not. When is my DOL Hearing scheduled? The hearings are conducted by telephone. The Washington State Department of Licensing will mail you a letter telling you the time and date of the hearing and the phone number that will be called. The hearing must be scheduled within 30 days of your arrest. Although, the DOL will typically give the driver one (1) thirty (30) day continuance, if requested. What are my legal rights in the administrative hearing? You have the right to be represented by an attorney at your own expense, or you may represent yourself. If you have a court appointed attorney, they will ordinarily not represent you at the administrative hearing. You may request that the Department subpoena the arresting officer or other witnesses to appear at the hearing. Contact the Hearing Officer at least two weeks in advance if you wish to have a witness subpoenaed. You may question the witnesses that appear. You may review the police report or other documents submitted as evidence. You may present evidence, call your own witnesses, and testify on your own behalf. All hearings are tape-recorded. The Hearing Officer will begin by “going on the record.” This means the tape recorder will be turned on and the hearing will start. The Hearing Officer will announce the hearing, review the issues to be decided, and identify the prepared exhibits (such as a copy of the police report). You may “object” to the admission of evidence or testimony. If you “object,” the Hearing Officer will decide whether to admit that evidence. The Hearing Officer will “swear in” all witnesses and listen to the testimony. You may testify, present evidence, cross-examine any of the state’s witnesses, and bring witnesses. The Hearing Officer will mail you a written decision typically two weeks or more after the hearing. The decision will either 1) dismiss the suspension or revocation of your license; or 2) uphold the suspension or revocation of your license. If the Hearing Officer dismisses the action, the suspension or revocation will be cancelled. However, if the Department’s action is upheld, you will be notified of the effective date of suspension or revocation. You will also be given information on the steps that must be taken to reinstate your driving privileges following the suspension or revocation. What if I disagree with the decision from the hearing? If you disagree with the Hearing Officer’s decision, you have the right to appeal to the Superior Court located in the county of arrest. Your appeal must be filed within 30 days from the date of the Hearing Officer’s Order. There are strict rules that must be followed to correctly file an appeal. Further information will be provided in the Hearing Officer’s Order. There is a court filing fee and a fee to obtain the Department’s record of the hearing. The appeal is a “record review.” This means that you will not have a new “trial” or the opportunity to present evidence again. Rather, the Superior Court Judge will review the testimony and exhibits that were admitted at the administrative hearing to determine whether the Hearing Officer’s decision should be reversed. 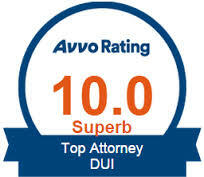 The DUI criminal charges were dismissed or reduced, do I still need to appear for the administrative hearing? Yes! These are completely separate proceedings (one civil and one criminal), and both are required. Washington State Law requires the Department of Licensing to revoke or suspend the driving privileges of any driver who either refused the breath/blood test, or whose breath/blood alcohol levels exceed the legal limit of .08, if certain requirements are met. This administrative action is in addition to any criminal charges that are brought. You may be found “not guilty” of the criminal charge in criminal court; however, your driving privileges may still be revoked or suspended because of the Department of Licensing administrative action. The opposite is also true. The Hearing Officer may dismiss the administrative action; yet, you still may be found “guilty” in criminal court. If you miss the deadline for requesting an administrative hearing or fail to appear when scheduled, the Department of Licensing will revoke or suspend your driving privileges even if you have already taken care of the underlying criminal charges in the court process.